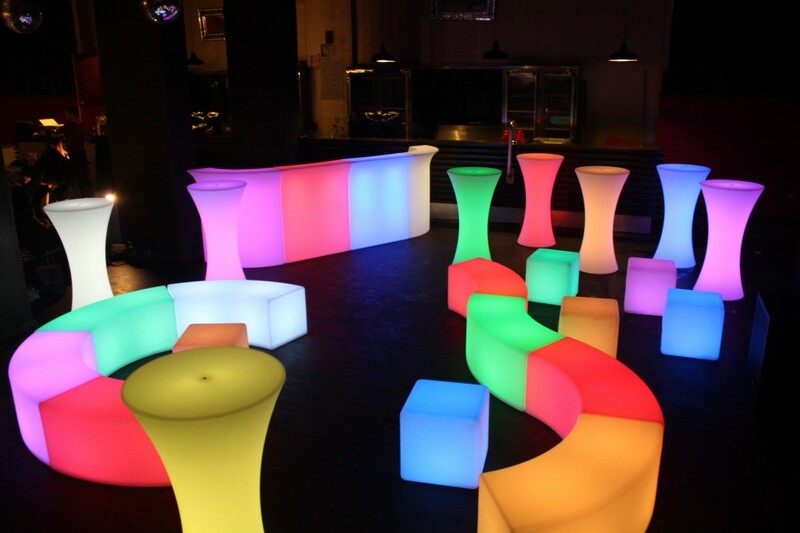 Glow furniture is a fun way to light up your event and create some ambience. 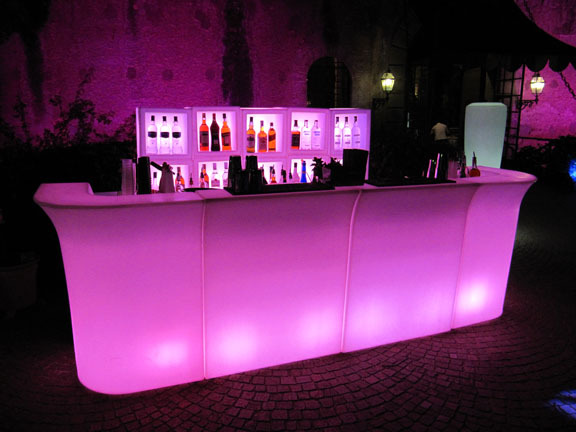 It also has a functional use and can be used for seating, creating glowing bars and also helping to segment your event space. 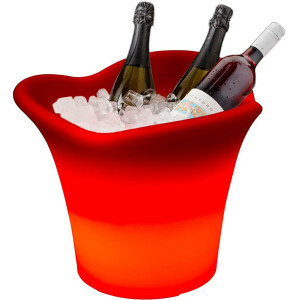 You can customise the glow colour to go with your brand or theme. If you’re after something completely custom, we can even print your logo or a message on the bar such as “happy birthday”. The glow furniture allows you to choose from 16 different colours, and you can select between different modes to create the effect you are looking for, whether it be flashing for a lively party, or a slow fade between colours for an elegant look or one still colour to create a constant colour theme. 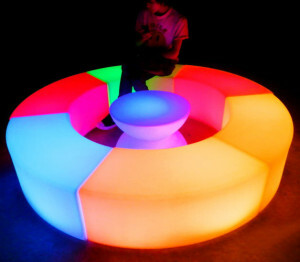 The best thing about glow furniture is that it is completely wireless. Each glow piece whether it is a bar, stool or bench, has its own hidden battery pack inside which gives it 8 hours of constant glow. It can be used both indoors and outdoors, and is weather proof. This means there are no messy wires and you are left with a clean finish.